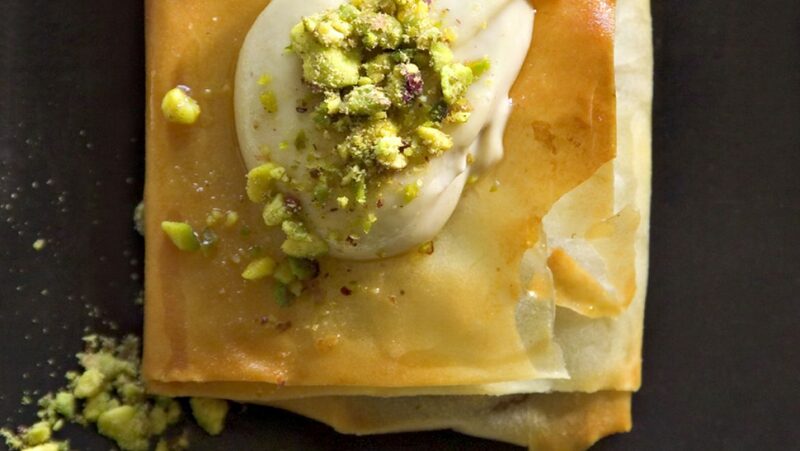 Serve with 100g of peeled, coarsely chopped pistachios. Mix the yogurt, garlic and lemon well. Pour in the Tahini while stirring, and season with salt.